We really thought that id Software would give us an update on Doom 4 at this year's QuakeCon. After all, id CEO Todd Hollenshead said at last year's event that we'd hear more about the next Doom in 2010. Hollenshead kicked off today's QuakeCon keynote with the bad news. Doom 4 just wasn't ready to be shown publicly, he said. Rage for the iPhone on the other hand... Hollenshead did say that he was aware of fan's expectations for Doom 4 at QuakeCon 2010 and apologized for its absence. When id's master programmer John Carmack was pressed for details on the status of the next Doom—which is neither a sequel nor a reboot—he said that he was currently embedded within the team working on the game, but opted not to share any further details. 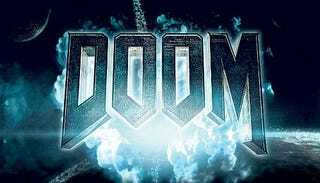 We already know that Doom 4 will use id Tech 5 and feature "big guns, lots of blood and demons." Maybe we'll know more next year.